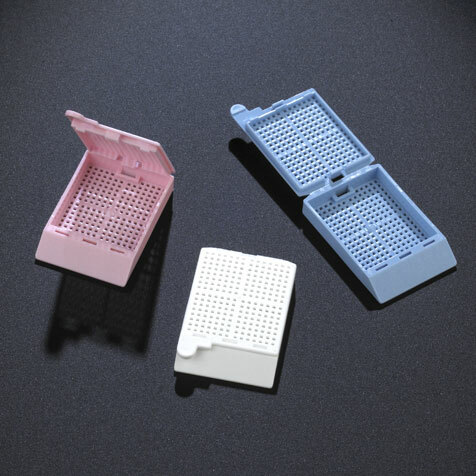 Globe Scientific offers two of the most popular styles of biopsy and tissue cassettes sold worldwide. 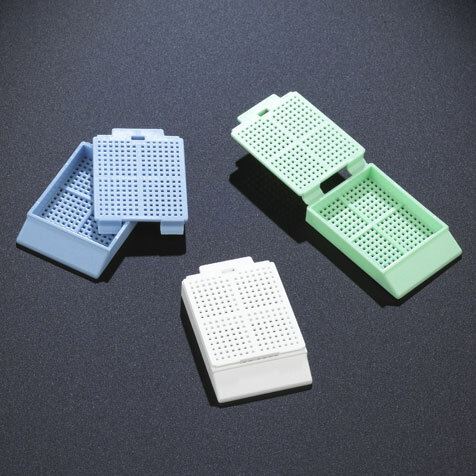 Produced from Acetal Polymer, the cassettes are resistant to histological solvents and decalcifying solutions. 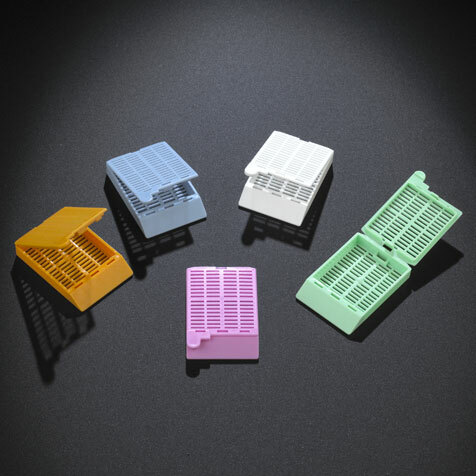 They keep samples safe and secure in liquids and feature wide slots (tissue cassettes) or 1mm square openings (biopsy cassettes) for excellent fluid exchange. All cassettes are packaged in convenient dispenser boxes. Cassettes with Attached Lids The 35° angled cassette features a large writing surface and two side panels ideal for labeling. 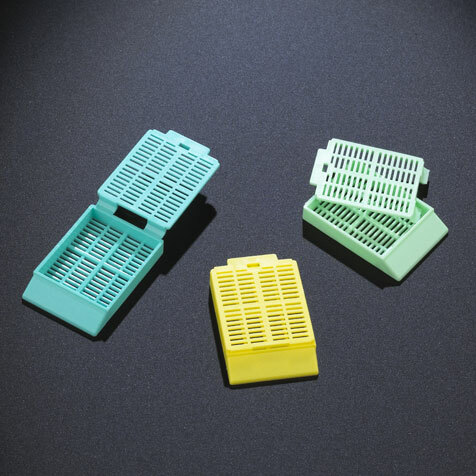 The one-piece design allows for the lids to be opened and closed repeatedly without the lid getting detached from the base. The lid securely locks into the base and keeps samples safe and secure. The 35° angled cassettes can be manually loaded into most cassette printers. Cassettes with Removable Lids The 30° angled cassette features an extra-large writing surface and two side panels ideal for labeling. The cassette has an integral lid that snaps apart and securely locks into the base of the cassette. The lid can be removed and reattached repeatedly to access the specimen. Note: These cassettes are not suitable for use on cassette printers.